Growing up, Dr. P always enjoyed helping others and seeing people smile. When she was in high school, she spent time researching different professions that would allow her to make a positive impact in the world—soon she discovered that dentistry was the perfect fit. 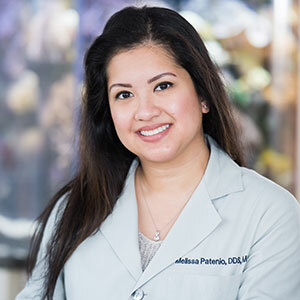 Dr. P attended and received her degrees from the University of Illinois, holding a Bachelor of Science in Dentistry, a Doctorate in Dental Surgery, a Masters in Oral Sciences and her Pediatric Dentistry Certificate. While in school, she had the opportunity to assist in a pediatric practice—after this experience, she knew she wanted to specialize in pediatric dentistry. Dr. P is currently a Diplomate of the American Board of Pediatric Dentistry. Each year, she takes several courses on varying dental topics in order to continue to provide her patients with exemplary care. Dr. P believes that the most fulfilling aspect of her career is being able to help so many children—whether they’re adolescents, special needs patients, or anxious toddlers. There’s a special place in Dr. P’s heart for every single one of her patients! Outside of the practice, Dr. P enjoys spending time with her family and traveling. Get to know more about her when you book your next visit with us. We look forward to seeing you in our practice!